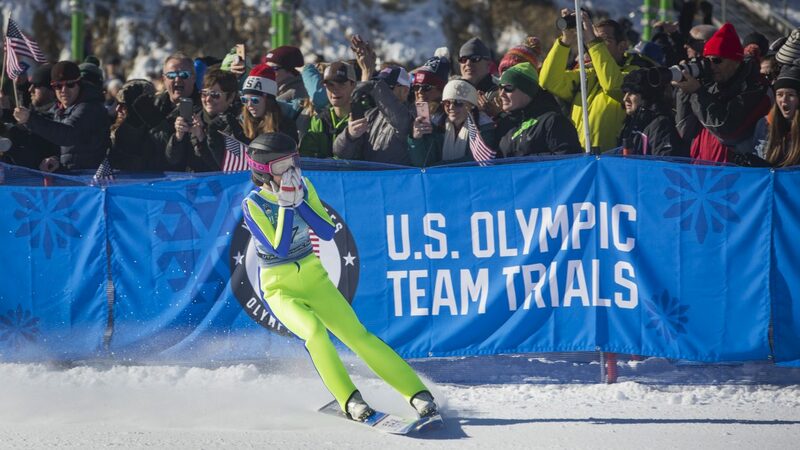 Ski jumper Sarah Hendrickson is among the Park City athletes who were inspired as children by the 2002 Winter Olympics. Sixteen years ago, the 2002 Olympics could have easily gone elsewhere. Thankfully for local athletes, it didn’t. Instead, Salt Lake City beat out Anchorage, Alaska, during the United States Olympic Committee’s site selection process by two votes, and earned the chance to impress the world. Without a doubt, that decision changed Park City’s culture — from its structure to its values — but for athletes, it transformed the alpine town into an internationally renowned athletic hub, boasting world-class venues and instruction facilities. 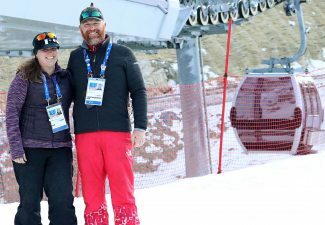 With another Winter Games set to begin in Pyeongchang, South Korea, on Friday, Parkites will be able to watch the lasting effects of the Games as dozens of athletes represent Park City on the world’s biggest stage. 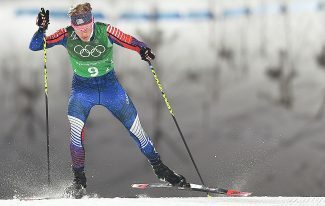 Though there was already a tradition of alpine skiing, ski jumping and Nordic skiing in the area, the new venues, like the Utah Olympic Park and Soldier Hollow, brought talent from across the country, such as aerial skiers Nikki Stone of Boston and Eric Bergous of Montana, who came to train on the water ramps at the Utah Winter Sports Park and went on to win gold medals in 1998. Following the construction of the facilities, Park City became one of two locales in the U.S. with a bobsled, skeleton and luge track, one of a small handful of aerials training centers, and one of six towns in the U.S. with ski jump hills. In the lead-up to the 2002 Games, the atmosphere reached a frenzied state. Stands were erected around Park City Mountain Resort, Soldier Hollow and Deer Valley Resort. The athletic performances were just as impressive. 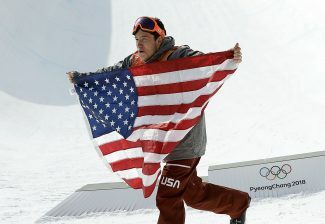 The United States took third in medals overall with 34, including 10 golds, and Park City residents had a front-row seat. Jim Shea and Tristan Gale took first in men’s and women’s skeleton respectively, after the sport was reintroduced from a 54-year hiatus. Danny Kass and Jarret Thomas followed Ross Powers to a sweep in men’s halfpipe snowboarding, while snowboarder Kelly Clark took first in women’s halfpipe. Travis Mayer and Shannon Barhke took second in the men’s and women’s moguls, while Joe Pack took second in men’s aerials. Jonny Moseley changed the sport of moguls by performing the Dinner Roll, thereby asserting that inversions were part of the natural progression of the sport. A few miles away, Jill Bakkan and Vonetta Flowers took first in the two-woman bobsleigh race. In turn, those performances and others inspired youngsters in Park City to try the sports they had seen. And in its wake, the 2002 Games helped provide support for the U.S. Ski and Snowboard’s Center of Excellence, which opened in 2009 after years of fundraising and drew athletes from across the U.S. to train for Nordic combined, ski jumping, alpine skiing, slopestyle skiing, freestyle skiing and cross-country skiing. In addition, Park City’s prominence in the ski scene still draws athletes from around the nation to compete on elite clubs in the area. Madison Olsen, a Park City native who will compete in aerials in Pyeongchang, told a similar story. 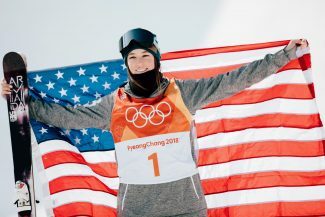 “We have an amazing facility at UOP, so I was able to train here and live with my family rather than moving away, and I still went to Park City High School, which was great,” she said. The 2002 Olympics also spurred the creation of the Youth Sports Alliance, which focuses on continuing the legacy of the Winter Games by facilitating access to winter sports for young athletes through programs that allow them to sample different sports. The organization provides scholarships for those who wouldn’t be able to afford the sport on their own. All told, 54 athletes with ties to the YSA will compete in the Winter Games this year. Had Salt Lake City never been named an Olympic host, Kelly and Fisher said, the town would still be a world-class resort destination, but it would miss that breadth of athletic options. And unlike other places that have hosted a Winter Games, Park City’s Olympic facilities have never fallen out of use, in part because they can draw from a large metropolitan area, and also because of the Utah Olympic Legacy Foundation’s commitment to providing athletic services. 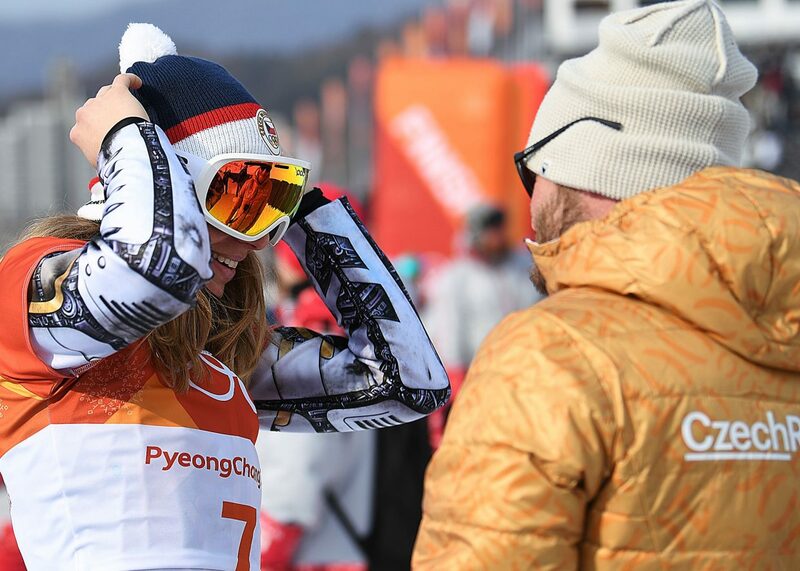 With Salt Lake City exploring the prospect of hosting another Winter Games, the future has seldom looked brighter for Park City athletes.